Loved everything! Our host was wonderful and accommodating (i.e. after hearing that we were doing a long hike at the Gorge, he offered us an extra day at a lower rate so we could come back to this apartment and sleep rather than drive at night back home). The beach, a little carnival, and a good restaurant were across the road (so you didn't have to go too far if you didn't want to), and town was within easy walking distance. There is a bus stop across the road which also seems to be a pick up location for several tour companies. It's a great location for just about everything. The apartment is fantastic; the photos don't do it justice. Our favorite parts were the balconies and the kitchen (which includes a milk shake machine! ), although the rooms and bathrooms were great. And if it matters, there is an elevator and the a/c is wonderful. Excellent location close to bus stop, taxi rank, bakery, supermarket, restaurants and beaches. High standards, great host, 3 separate AC units for 3 bedrooms. 2 spacious balconies. Brilliant for families with children of all ages. Apartment was big, beautiful and clean. Perfect location; all services (supermarket, restaurants...) are near and several nice beaches where you can walk are also very close to the apartment. You can easily walk to old town and if you prefer taxi it's about 5 euro. Manousos is a great host, very helpful and speaks fluent english. He lives in the same building, so if you need any help it's available at any time. Very spacious and comfortable apartment. Manoyosos was a great host, spoke English well an happy to help with any request. 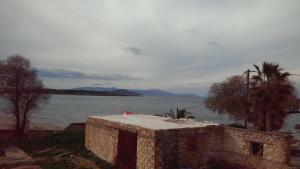 Very good location - walk to chania old town and easy well to selection of good beaches the other direction. The apartment was fantastic. Good location very close to the beach approx 2 min walk and about 10 min walk to Chania town. Manousos was an excellent host and nothing was a problem for him. He called us prior to arrival then met us on arrival and gave us a thorough run down on property facilities. On check out day we were due to leave late at night and Manousos took care of our luggage whilst we enjoyed the day luggage free. Excellent service from Manousos and a great very clean property. Hightly recommended. Very airy and very close to the sea! We also liked the kitch style of the living room. Manousos is a excellent host, he showed us the whole apartment, and explained us how everything works. The communication with him was easy. Everything was perfect, there were towels for each of us, the kitchen was excellent equiped, also tablets for the dishwasher, and washingmachine. The whole apartment was VERY CLEAN. The location of the house is in a quite neigborhood, 20minutes walk from the town centre. There is a sand-rock beach just few meters from the property. It was easy to park at the house, Manousos gave us his parking place in front of the apartment. 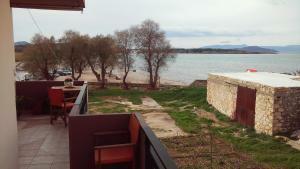 I would stay at his apartment next time visiting Chania. Thank you Manousos. Grandissima e comodissima casa vicina al centro di Chania ma anche alla spiaggia. 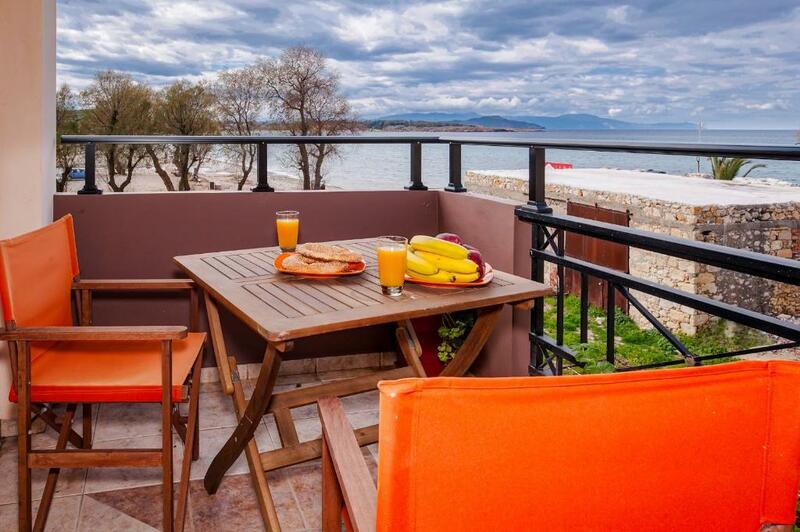 Lock in a great price for Manousos Villa – rated 9.9 by recent guests! Manousos Villa has a terrace and is located in Chania, within just a 10-minute walk of Nea Chora and 0.9 miles of Etz Hayyim Synagogue. 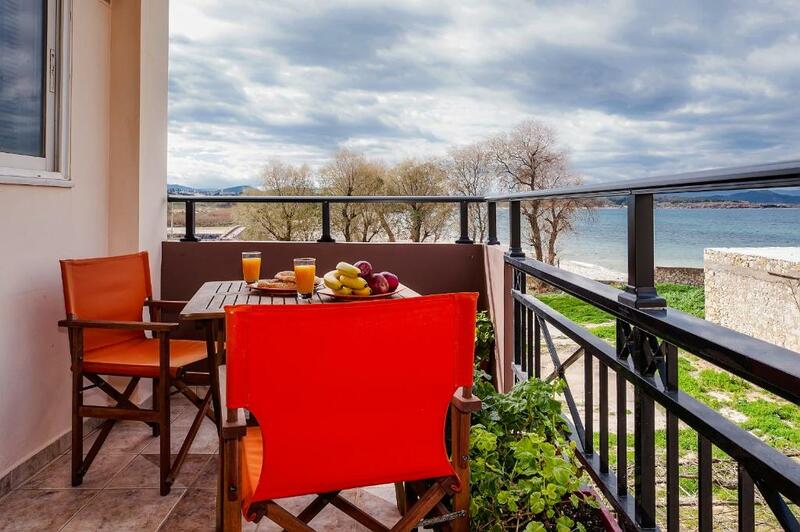 Guests staying at this apartment can use the fully equipped kitchen and a balcony. This 3-bedroom apartment will provide you with a cable flat-screen TV, air conditioning and a living room. There's a bathroom with a hair dryer. 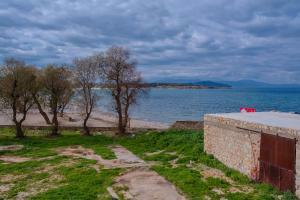 Venizelos Graves is 4.4 miles from the apartment, while Mitropoleos Square is an 18-minute walk away. The nearest airport is Souda Airport, 10 miles from Manousos Villa. 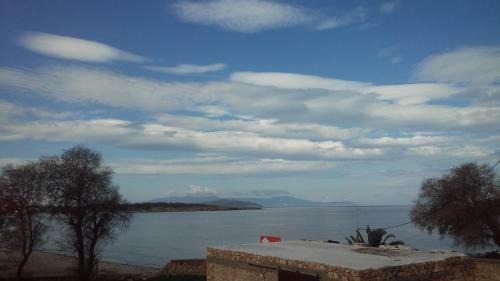 뀐 Located in the top-rated area in Chania, this property has an excellent location score of 9.7! When would you like to stay at Manousos Villa? This apartment has a dishwasher, kitchenware and tile/marble floor. 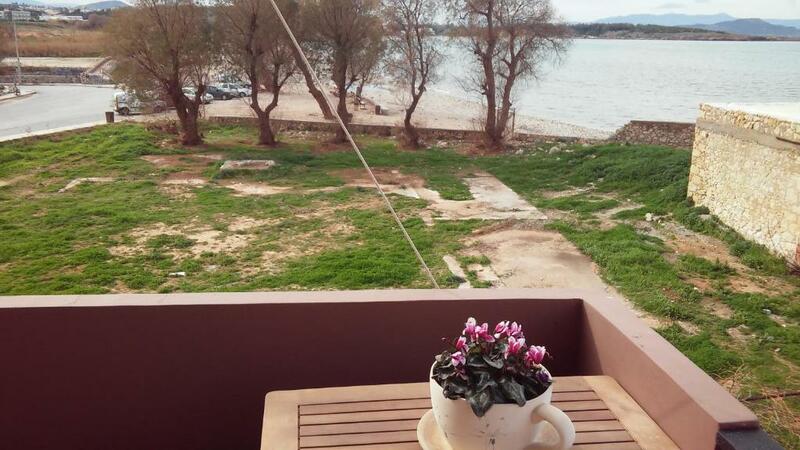 My home is next to the see with gorgeous see view.10 minutes away from the old town.3 bedrooms 2 bathrooms 1 big living room and one big kitchen.i can host two families with 5 kids. House Rules Manousos Villa takes special requests – add in the next step! Please inform Manousos Villa of your expected arrival time in advance. You can use the Special Requests box when booking, or contact the property directly using the contact details in your confirmation. The buildings next to and behind apartment are derelict and ugly to see from apartment rear balcony.